Few of us would probably rank cabbage as an all-time favorite vegetable, but the colorful antioxidant-rich Brassicas have plenty of health benefits that make these leafy red heads especially worth incorporating into your regular diet. Learn to balance the sulfurous vegetal notes of red cabbage, and you’ll discover countless ingredients that you can pair with this crunchy cruciferous vegetable in all its different forms: raw, pickled, cooked and even dried. 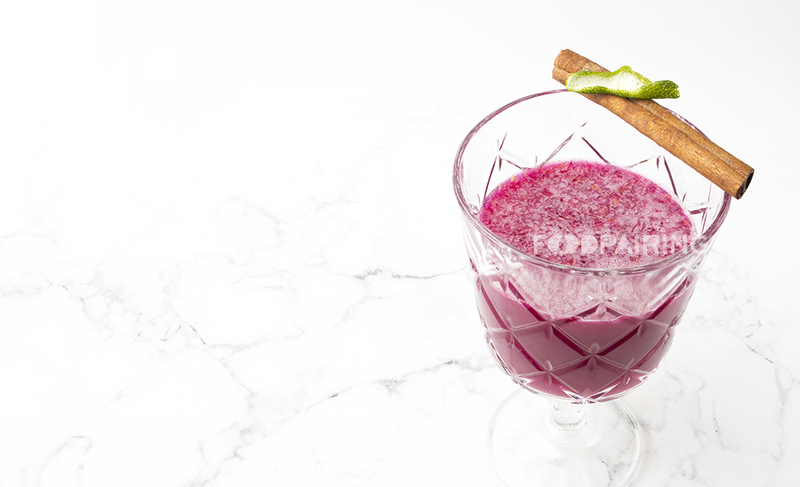 Taste for yourself with our recipes for a refreshing red cabbage cocktail, Ganda ham with red cabbage slaw and oranges, and the traditional Belgian spiced red cabbage with apples and honey. Raw cabbage contains a high concentration of glucosinolate molecules that give these leafy heads a sulfurous odor. By cutting, crushing or biting into these cruciferous heads, a series of enzymatic reactions is triggered that causes the glucosinolates to break down into allyl isothiocyanate, another volatile compound that gives these Brassicas their fresh vegetal, cabbage-like scent and slightly bitter, peppery bite. 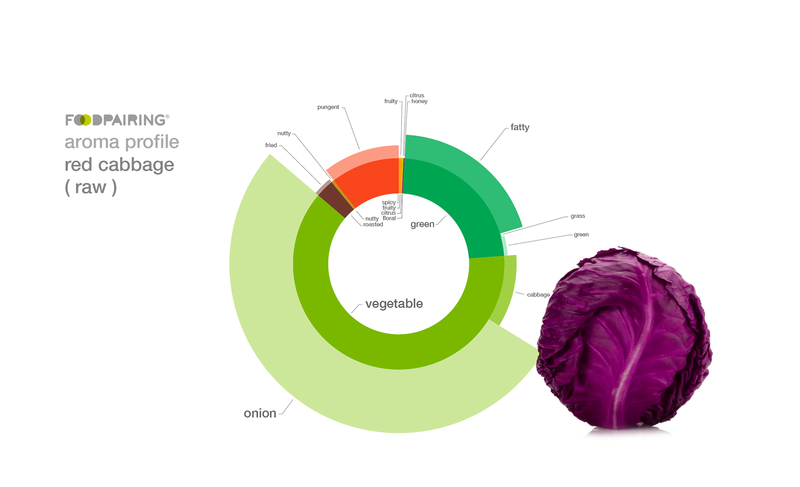 If you’re looking to pair the vegetal onion-y notes in your red cabbage, try combining it with onions (naturally! 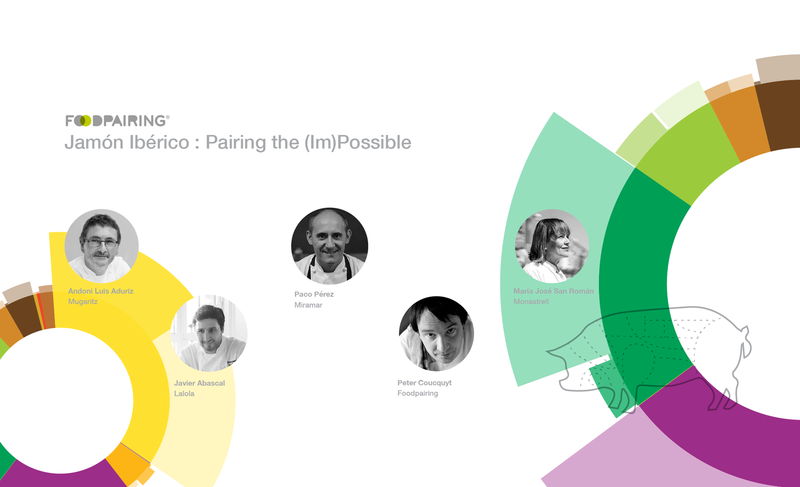 ), asparagus, black truffles, lamb or black tea. But keep in mind that these colorful cabbages contain more than just sulfurous notes, so be sure to play up the other aromas, too! 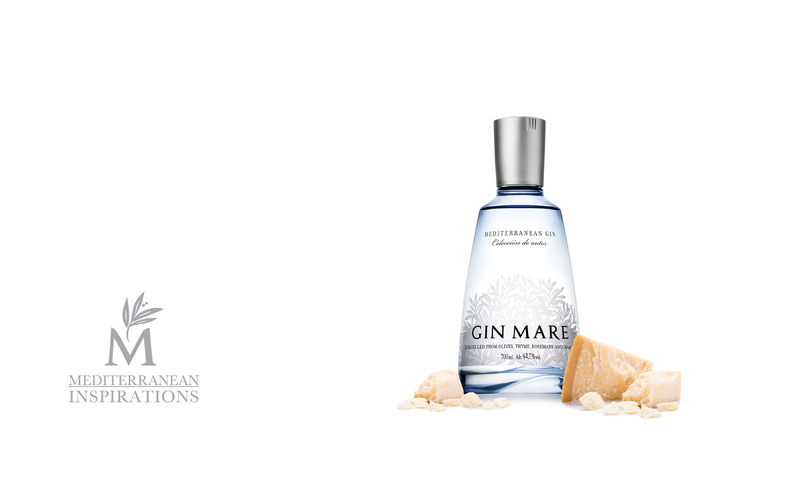 Their green-grassy flavor goes well with tomatoes, parsley, bay leaves, sage, elderberries and Gin Mare. You can bring out their green-fatty aroma using ingredients like orange zest, dried figs, bell peppers, olive oil and even fried chicken. Red and purple cabbages also have a less obvious floral honey-like nuance that pairs nicely with melons, champignon mushroom, roasted almonds, chocolate and Ganda ham. To emphasize the cabbage’s spicy notes, add a dash of cinnamon or cloves while cooking, combine it with celery leaf, peas, yogurt or serve it alongside a cool, sparkling glass of cava. 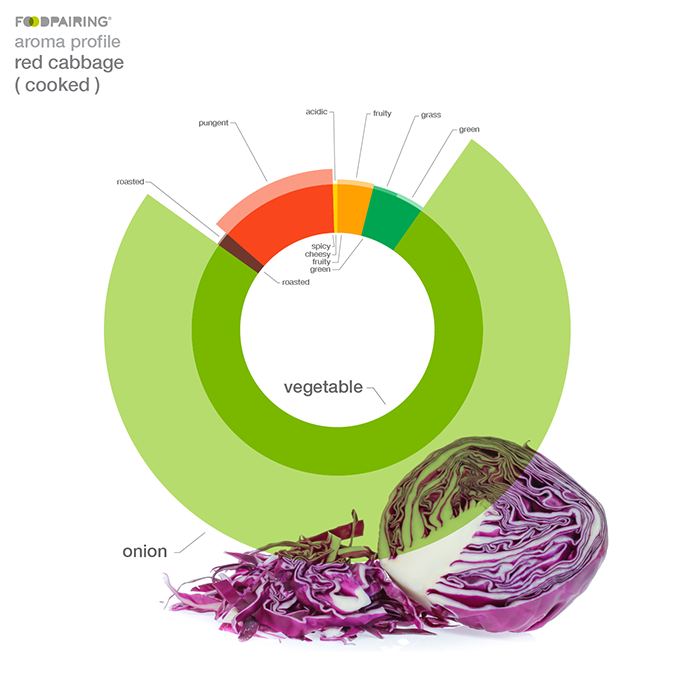 Cooking your cabbage lessens its sulfurous, onion-y notes, as the glucosinolates give way to new volatile compounds that have a mellower cooked cabbage scent. Cooking your Brassica helps to lessen these sulfurous, onion-y notes, as the glucosinolates give way to the creation of newer volatile compounds that have a mellower cooked cabbage scent. 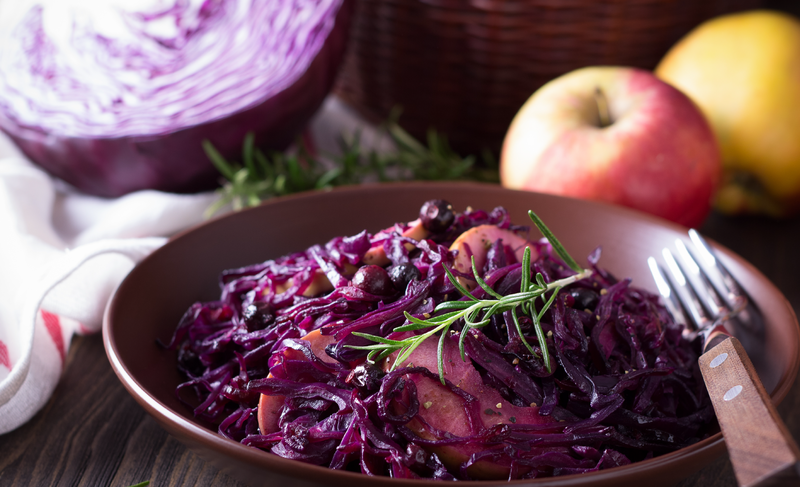 When preparing dishes that call for red or purple cabbage, be sure to cook them with a touch of vinegar, a squeeze of lemon juice or some other acid to preserve their colorful hues. Otherwise, you’ll end up with a dish of grayish-blue cooked cabbage; this won’t affect its flavor—it won’t be quite the picture-perfect dish you may have envisioned. 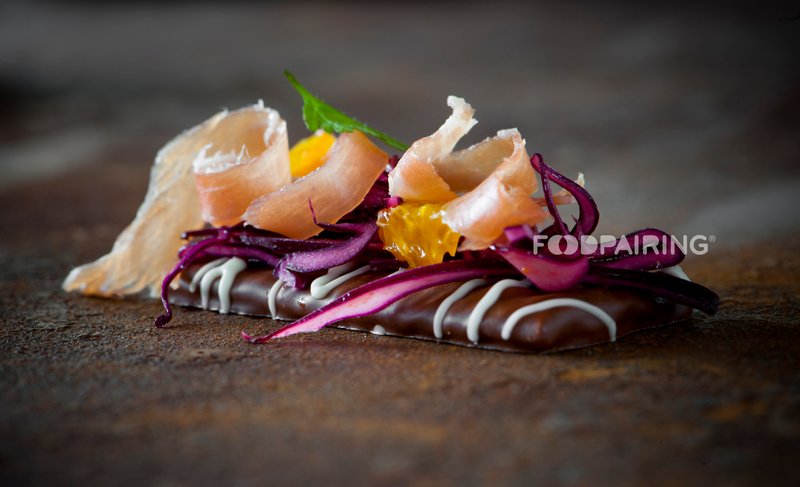 Discover your own red cabbage pairings with our Foodpairing® Tool by subscribing now. Already have an account? Log in. 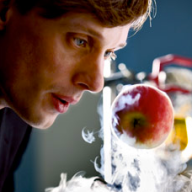 Scientist, food aficionado and Foodpairing® founder Bernard Lahousse applies his scientific approach to food innovation and extends his knowledge to chefs and bartenders all over the world.